Boomerang starts out by pulling the riders backwards up an incline twelve stories high, then releases the train for a wild ride. The coaster takes you upside down six times during the ride, three times forward and three times while going backwards. The coaster takes you upside down two times while going through the boomerang and another in the loop, while traveling in just one direction. 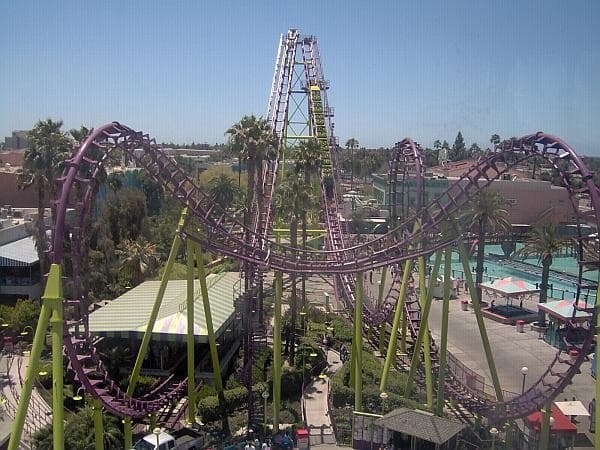 This is one ride that can definitely give you some whiplash and really make you dizzy, at least for me it does. The ride is all over in just two minutes. 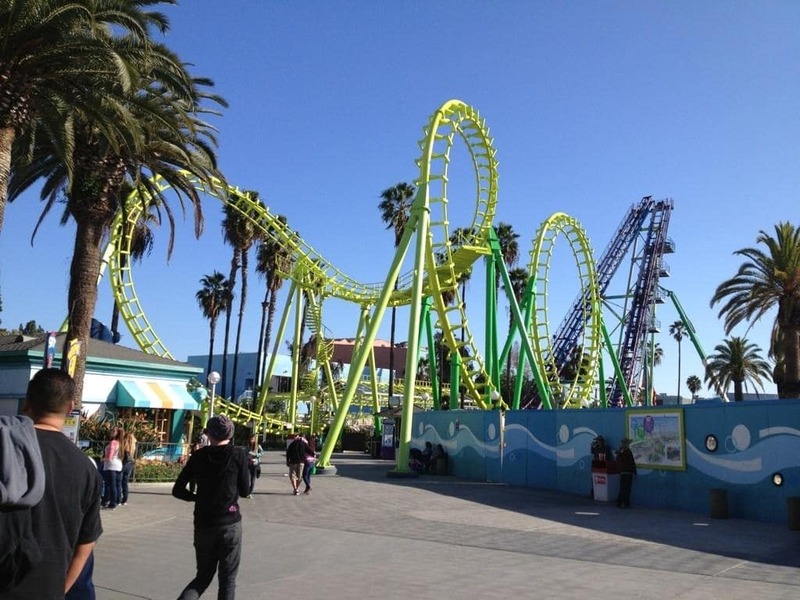 Your probably asking why the ride is shown in two different colors above, the ride was originally purple and green, as of 2013 the track was painted yellow. So the ride is now yellow and green.